Last year the Verge demonstrated that people tweet links to articles that they actually never read. And now the Atlantic reports that only 1% of the people who click on a tweet actually read the article. 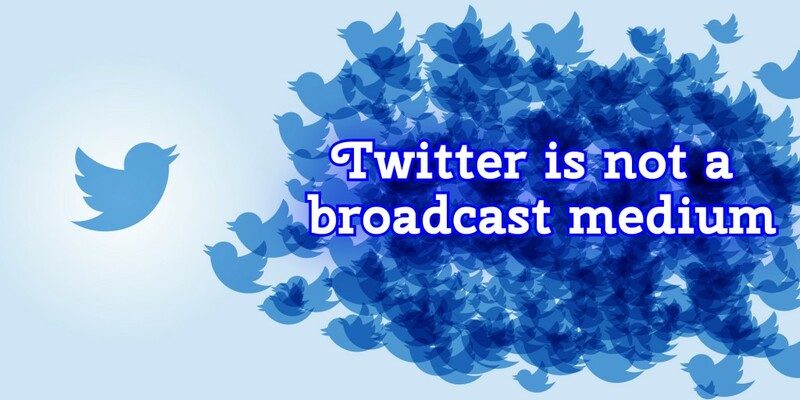 Twitter is not a broadcast medium. Twitter is not a place where you post a ton of links hoping for the masses to click on your link. Instead, Twitter is a medium where you directly engage with other people. You have your own circle of people you know. You read their tweets. They read yours. On my two biggest accounts on twitter, they both have just over 1,000 followers each. But I realistically have about 10 people that I really engage with on Twitter. Four years later, I’m still shocked that only 1% of people who click on a tweet actually read the article.